The Greater Kansas City Chapter of AUSA is pleased to announce the inaugural presentation of the Col. Roger H.C. Donlon Patriot Award. 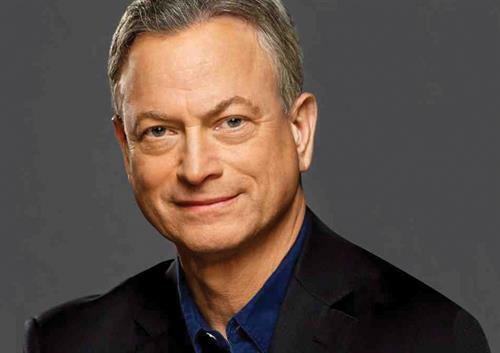 We will present this first award to actor and philanthropist Gary Sinise during a luncheon on Monday, 11:30 a.m., February 25, at the KC Marriott Downtown Hotel (200 W 12th St, Kansas City, MO 64105). Col. Donlon was the first recipient of the Medal of Honor in Vietnam and the first Special Forces Soldier to be so honored. He and his wife Norma live in Leavenworth, Kansas. Gary Sinise is widely known for his portrayal of the character “Lt. Dan” in the movie Forest Gump as well as his work in numerous other movies and television series. Additionally, Sinise serves and honors our nation’s defenders, veterans, first responders, and their families with performances by his “Lt. Dan Band” and programs through the Gary Sinise Foundation. Dress: Military– Duty Uniform; Civilian– Business Casual. All attendees will receive one of Col. Donlon’s personal Medal of Honor coins. Cost is $60/person or $450/table of 8.